Please,how much will 200 level student of English and literary student pay as school fees. Does uncal require school certificate or nysc certificate as a qualification for direct entry student. Hello, how much is the school fees for a foreign fresher (Cameroon) coming in to study medicine at UNICAL? You can check that from JAMB Brochure. pls, how can i change my course wth OAU, i dont av d appropraite subject o level combination 4 d course i chose wen i registerd 4 UTME. @Tayo you will be able to do that as soon as JAMB opens the portal for changing of course and institution. Pls how much is both school fees and hostel fees to study mass comm in unical for freshers? 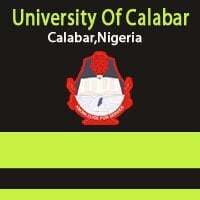 @cutee, kindly go through above post thoroughly to see both school fees or visit the university’s website for more info. @lizzy, you may be considered.